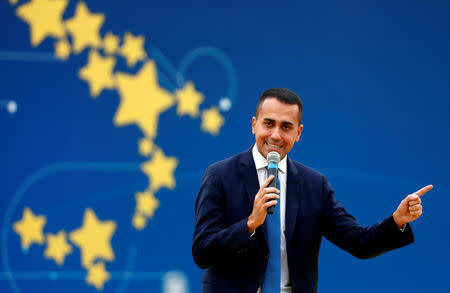 "We need to find (an agreement), otherwise the government contract would collapse," Di Maio, who is also leader of the 5-Star, said in an interview with Il Fatto Quotidiano paper, in the latest sign of escalating tensions between the two ruling parties. The anti-establishment 5-Star Movement wants to loosen time limits imposed on the prosecution of numerous crimes, including corruption. The League says easing the statute of limitations means defendants could face unacceptably long legal battles. Five-Star says that as things stand too many cases are rubbed out without a verdict ever being reached. Other policy differences are also straining the coalition. On Wednesday, in order to tackle dissent within the 5-Star, the government called a confidence vote in the upper house Senate on a contested security decree championed by Salvini.